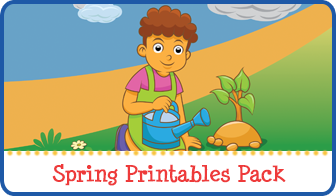 In a previous post I shared some hands-on activities and links to free printables for giving kids an introduction to living and nonliving objects. 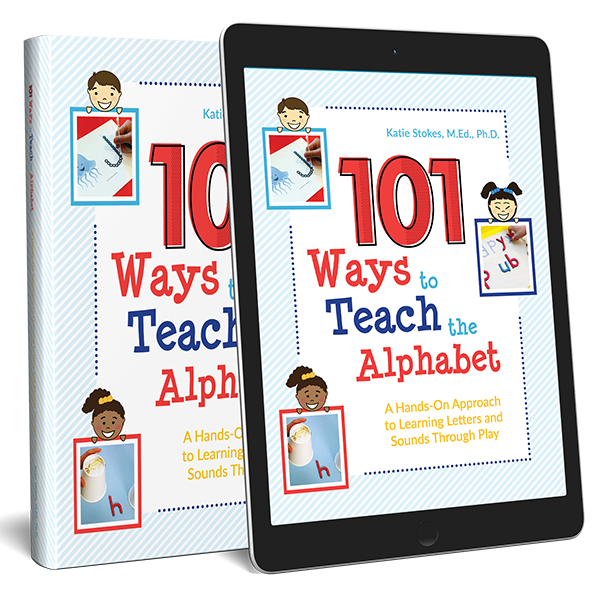 Once my kids understood the characteristics of living and nonliving things, I introduced the concept of once living. 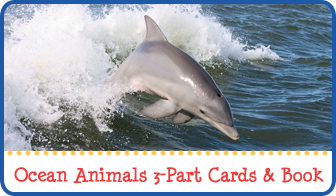 Once living things are objects that used to be alive, but now are not. 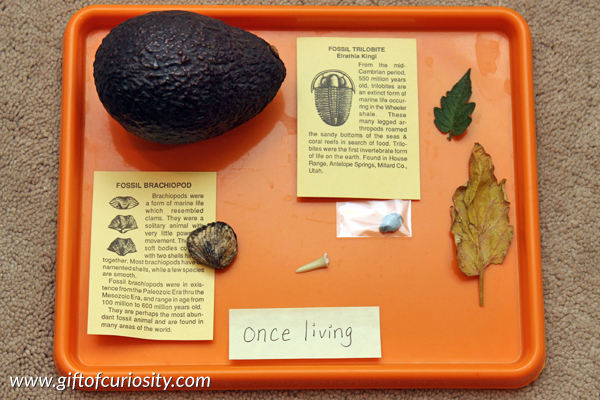 For example, dried flowers, a dead insect, and a fossil would all be examples of once living objects. This unit turned out to be a bit tricker than I would have thought. 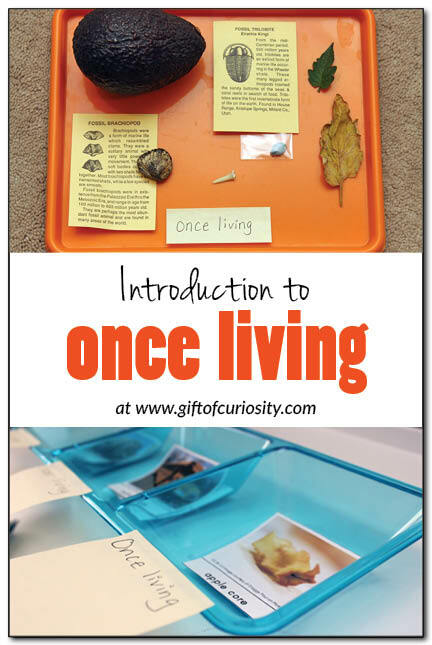 As I shared these activities with my husband and mom, we got into some really interesting discussions about the difference between living, nonliving, and once living. For example, my kids would look at a t-shirt and categorize it as nonliving. But if the shirt it made from cotton, that cotton was once alive on a cotton plant, meaning that the shirt is technically once living. For each object on the tray, we talked about how it had come from a living thing that needed food, water, air, and that could reproduce. 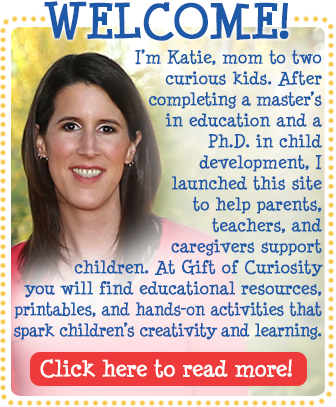 (See our introduction to living and nonliving where I discuss these four characteristics.) But we also talked about how each of these objects was no longer living and thus no longer needed food, air, water, and could no longer reproduce. 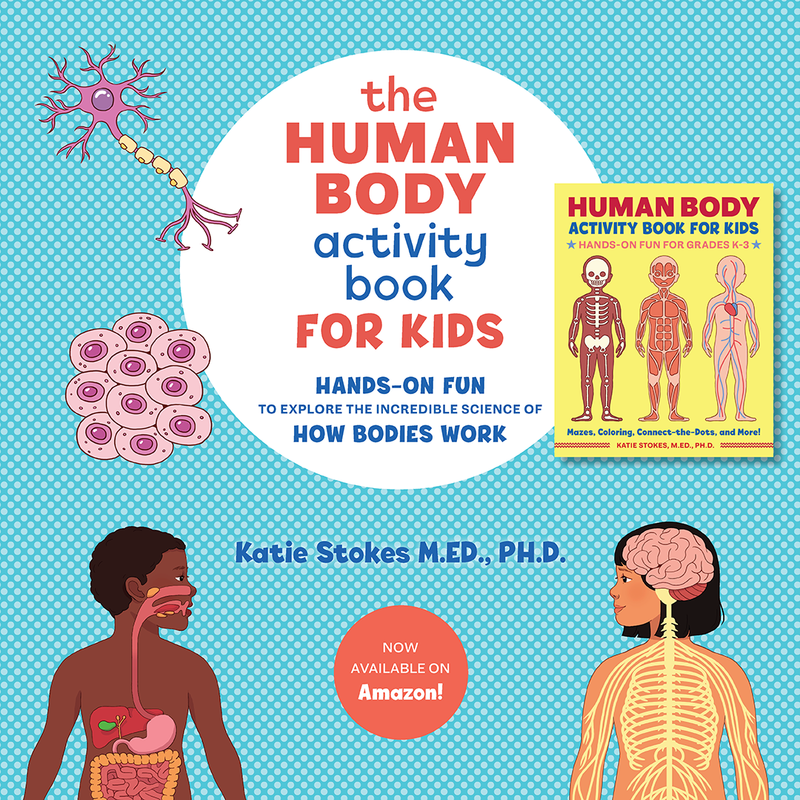 Over the course of the unit, we also read many great books about living and nonliving. 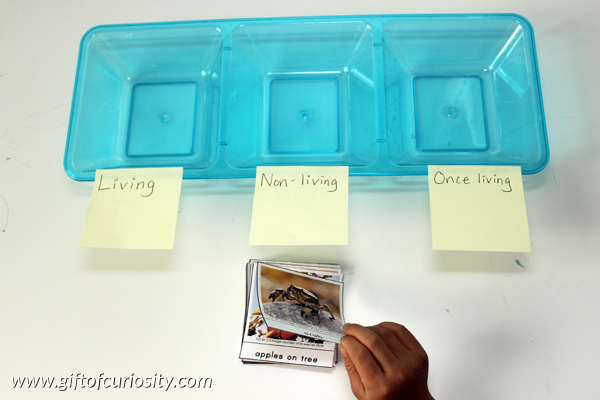 To help drive home the differences between living, nonliving, and once living, I invited the kids to create their own Living / Nonliving / Once Living books. 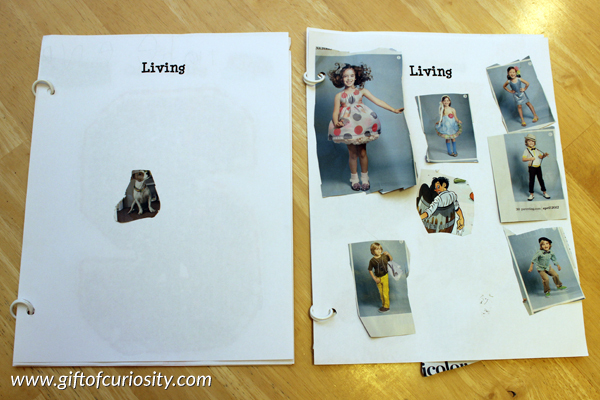 I gave them three sheets of paper each, with one labeled “Living,” one labeled “Nonliving,” and one labeled “Once Living.” They searched through the pages of various magazines and catalogs to find images for each page. 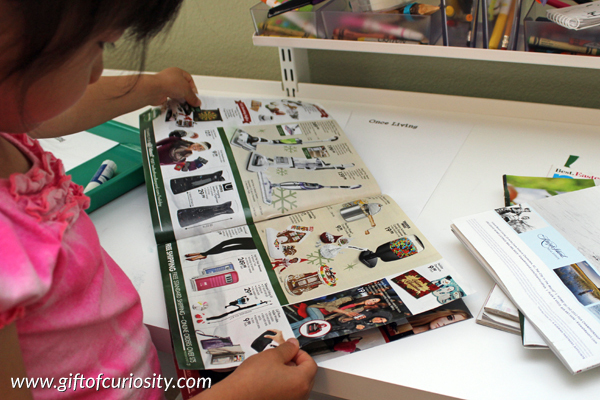 After they found an image they liked, they cut it out and glued it on to the appropriate page. 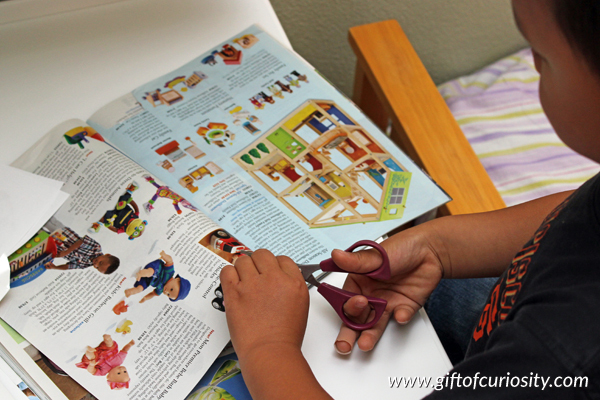 Once they completed their books, we punched holes in them and bound them using our 1/2 inch booklet rings from Montessori Services. 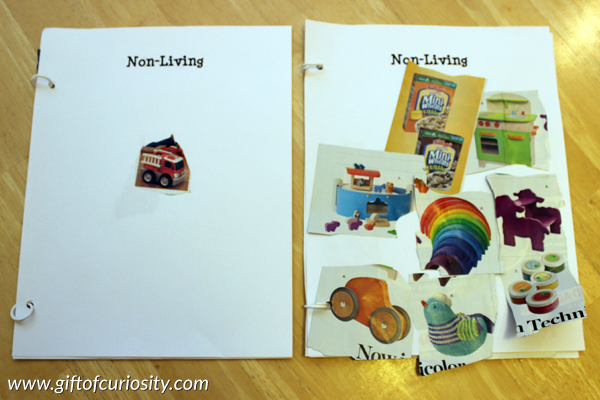 Here are their completed Nonliving pages. 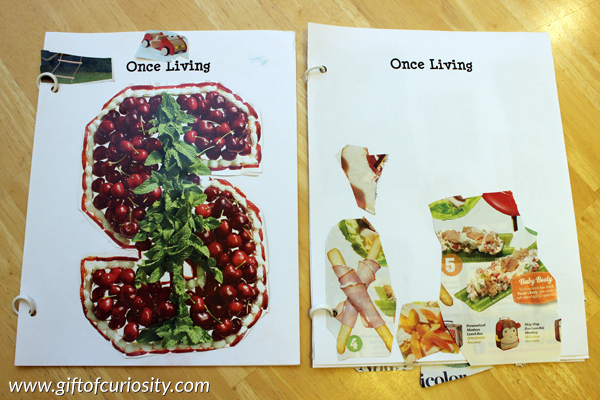 Here are their completed Once Living pages. 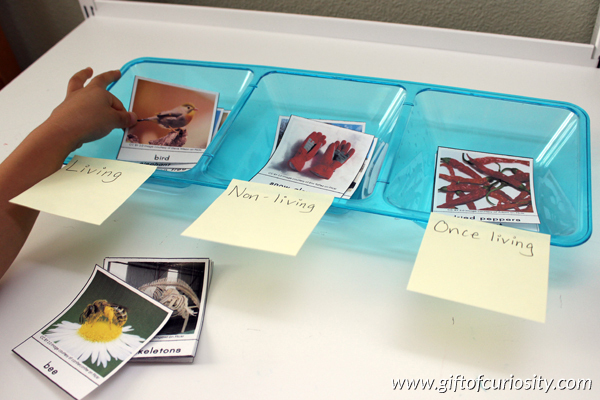 As the kids sorted the pictures, we discussed why each item was categorized as living, nonliving, or once living. 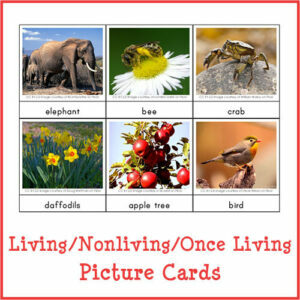 Want a copy of my Living – Nonliving – Once Living Picture Cards? Oh that would be an interesting discussion, how far do you carry it, because like you said so many things could be once living… Now I’m thinking on this, love it!